Matt Shea starts another controversy, this time with Facebook; plus, eastside racism? 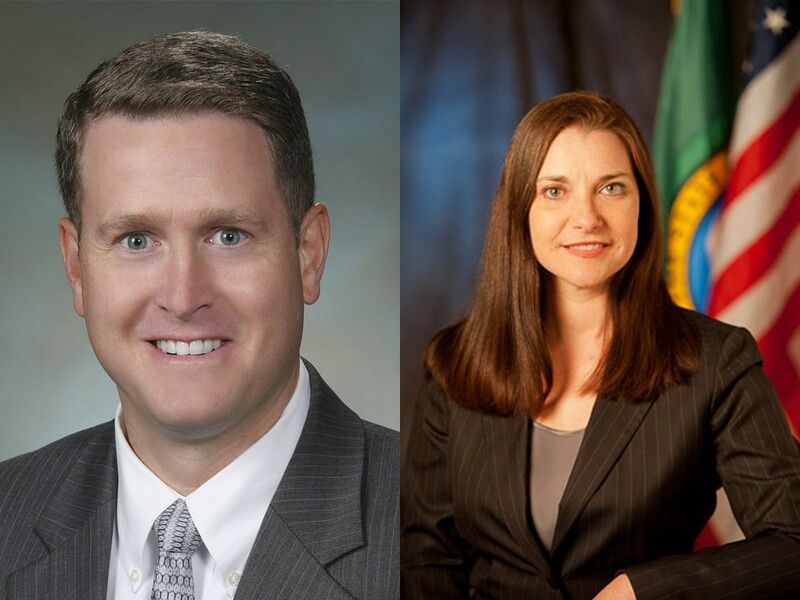 In the primary election, State Rep. Matt Shea, R-Spokane Valley, dominated his Democratic challenger Amy Biviano, with 57 percent of the vote. His top finish came despite news that, in December, Shea waved an unlicensed firearm at a motorist. Now, Shea’s landed in a brand-new controversy, this one involving Facebook. On Aug. 4, Biviano says, she got a call from Sheriff Ozzie Knezovich informing her that Shea had posted a picture of himself smiling and standing on her driveway. Shea had been out doorbelling, came upon Biviano’s house and was photographed in front of it. Biviano says she immediately called Shea and Spokane County Republican Party chairman Matthew Pederson and left voicemails asking them to take down the photo. But after more than a week, she says, they still haven’t. She says she feels intimidated. Pederson says he left a message with Biviano, but he’s not heard back from her. He sees her as focusing her campaign on negative issues rather than positive solutions. “I don’t think she’s in this campaign to win,” Pederson says. As of press time, Shea had not responded to requests for comment. To Shea, he and his wife are targets of intimidation. “Many of you have asked me and Viktoriya why we are the subject of such vicious personal attacks and intimidation on a regular basis,” he wrote in an open letter three weeks ago. The slander and allegations people throw around, he wrote, have been conclusively disproven. Incumbent Washington State Supreme Court Justice Steve Gonzalez didn’t get support from much of the state in last week’s primary election, even though both gubernatorial and attorney general candidates backed him. Though Gonzalez got 60 percent of the statewide vote over Kitsap County Attorney Bruce Danielson, who raised no money for his campaign, Danielson won all the counties east of the Cascades. That’s caused some eyebrow-raising among Gonzalez supporters. Sen. Mike Padden, R-Spokane Valley, rejects the suggestion that Gonzalez’s surname had anything to do with it. He thinks the result was indicative of people’s discomfort with some of Gonzalez’s affiliations, including his appointment by Democratic Gov. Christine Gregoire. “Naturally, people in more conservative parts of the state weren’t voting for Danielson but didn’t want to see Gonzalez in there,” Padden says. Thanks to lengthy homicide investigations, a focus on tracking down burglary suspects and two SWAT calls in June, overtime usage at the Spokane Police Department is “13 percent over where it should be,” Interim Chief Scott Stephens told the City Council Monday. In the first six months of the year, the department had hoped to use 50 percent or less of its total 30,270 overtime hours, but used about 62.2 percent through the month of June. Along with big investigations, the overtime usage could be due in part to vacancies in patrol, dispatch and records departments, Stephens told the council.